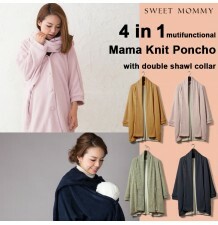 Wonderful Multi Use Mother Coat with baby pouch. 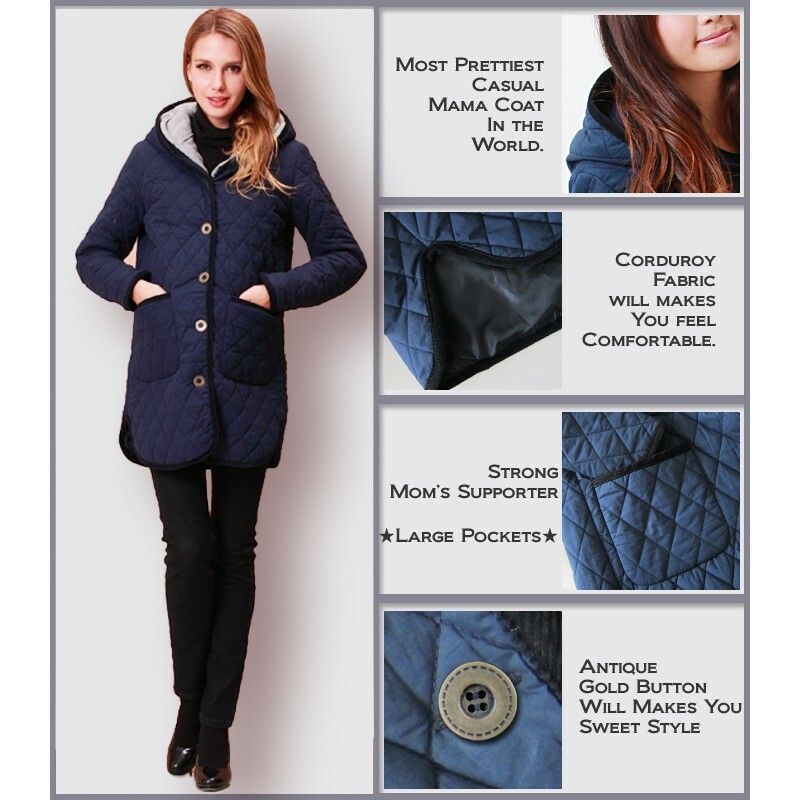 It's a casual mother coat, with middle thickness, and perfect for spring and autumn. Composition: Outside: cotton 100%; Filling: polyester 100%; Liner: polyester 100%. 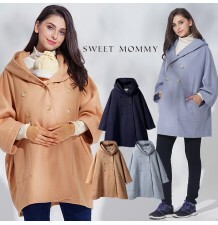 Very much useful 2-in-1 mother coat, it can be used in two different ways, either as an overcoat for the mommy, or by attaching the baby pouch on the front. 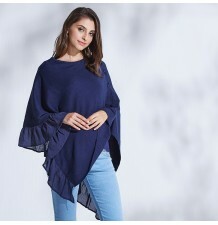 Very useful hooded maternity poncho that can be used also to keep your baby sheltered from cold or windy weather, very comfortable and versatile. 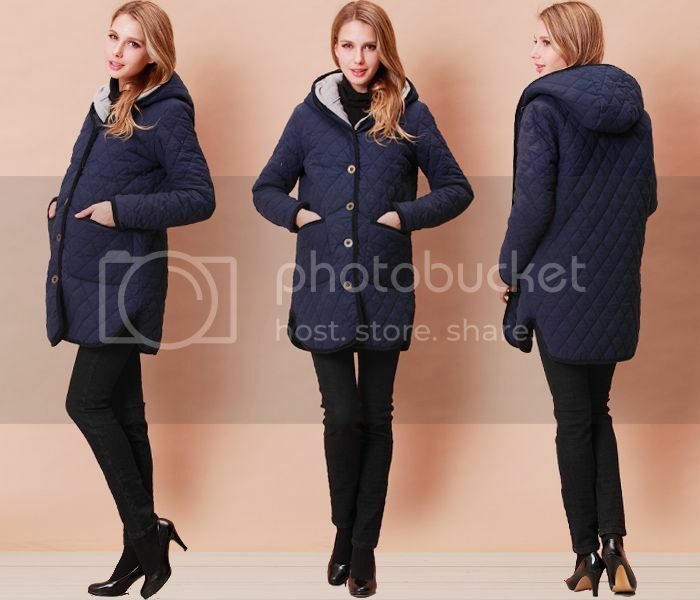 Maternity coat with detachable pouch, very comfortable and practical + vest. Beautiful maternity and nursing cape in organic cotton, available in 2 colours, perfect as gift too. Double use flared skirt trench mother-coat with removable baby pouch, available in 2 different colours. Comfortable maternity and nursing hoodie with coordinated baby pouch, modern and young style. Waterproof mama coat with transformable baby pouch for stroller, suitable for spring and autumn. 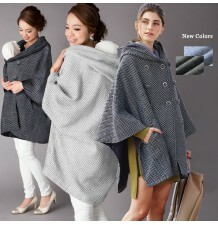 Multifunctional maternity and mom poncho with double scarf, very comfortable and warm, available in different colours. 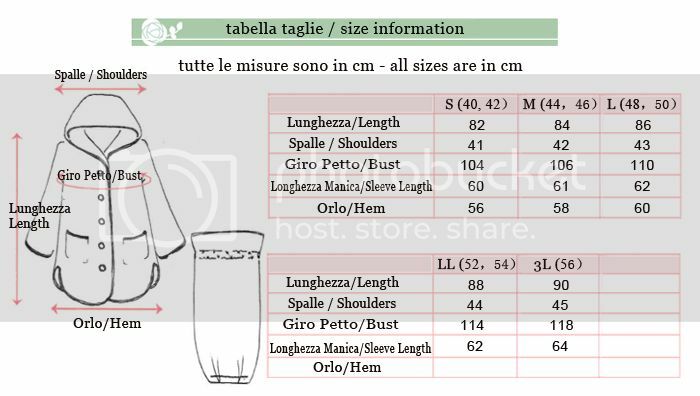 Longline mother jacket with baby pouch for stroller, very warm and soft. 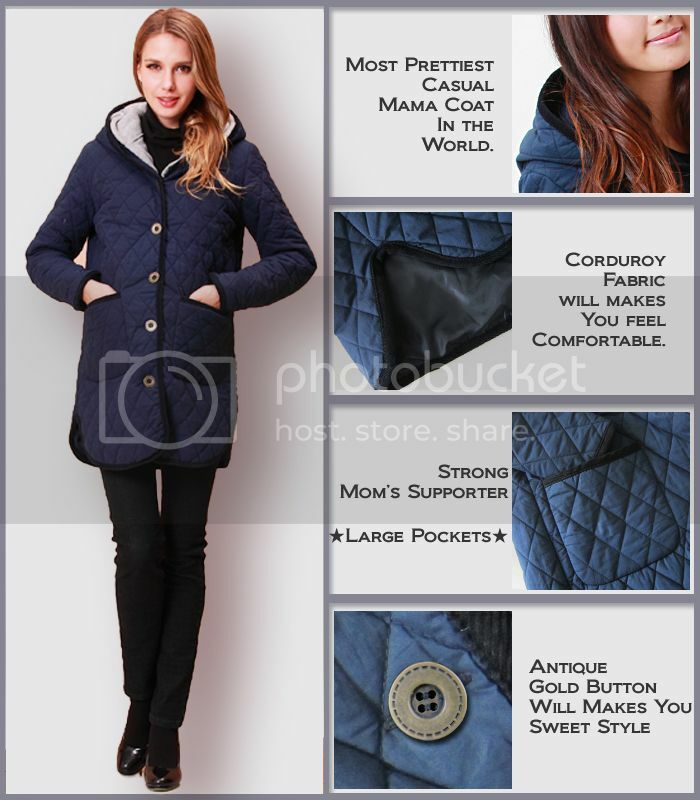 Mother duffle coat with baby pouch transformable in a useful and comfortable stroller sack. 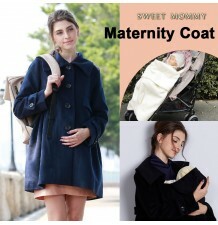 Two way use maternity and mother-baby overcoat, very comfortable and available in different colours.